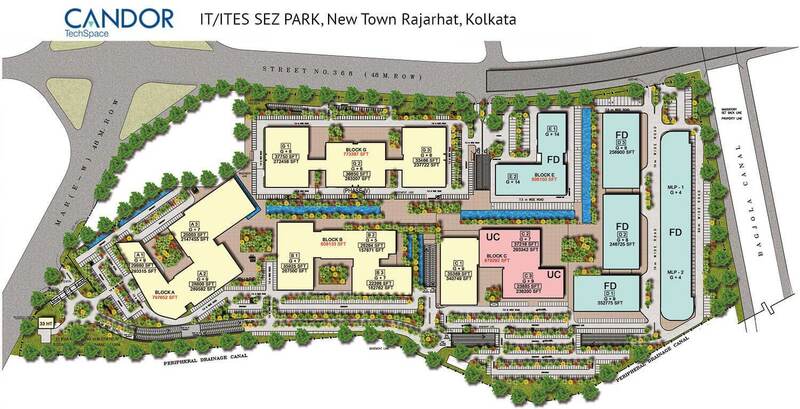 The campus is located at a fast-growing IT/ ITES hub of the city. The location is deﬁnitely the key highlight of the project. There is a 48m wide Major Arterial Road next to it and the airport is just 20 minutes away while many famous 5-star hotels such as Novotel, Swissotel, Westin and malls are in the close vicinity. The architecture of the campus is also very distinct and modern as it beautifully stands out amidst other multi-tenanted IT/ITES developments present in the New Town IT hub. The campus greets its visitors with picturesque landscapes and water-bodies that give more reasons to smile everyday. 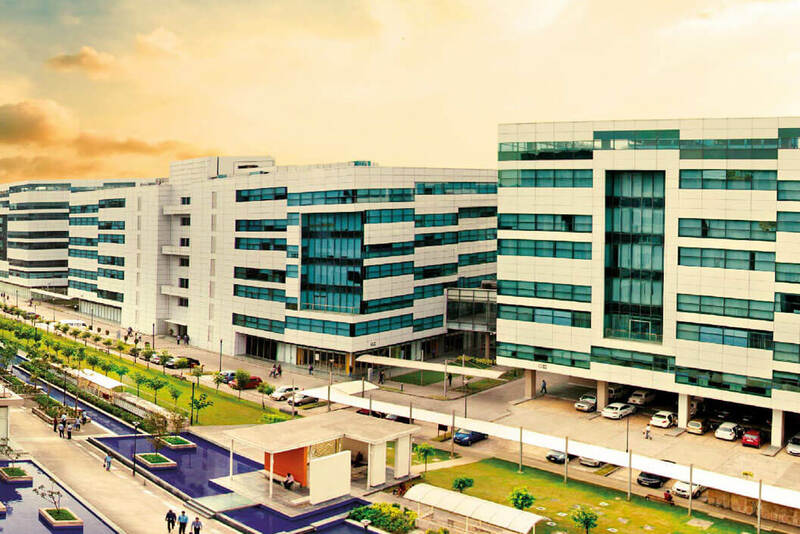 The only BEE 2 star rated IT/ITES SEZ campus in the city has dedicated power plant, large parking area, leading-edge security coverage, STP, rainwater harvesting and LED lights. The central pedestrian spine is the hub of various activities as it is surrounded by manicured greens, covered walkways and sit-out zones. A dedicated amenity block offers ATMs, food court, convenience shopping, gymnasium, concierge, telecom store, banquet facility and a swimming pool.